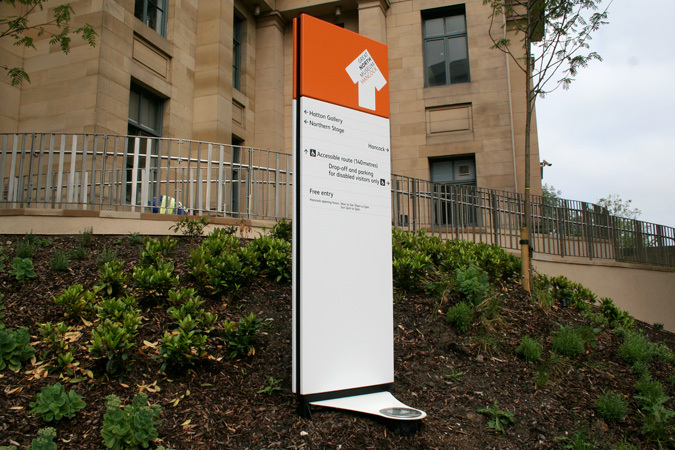 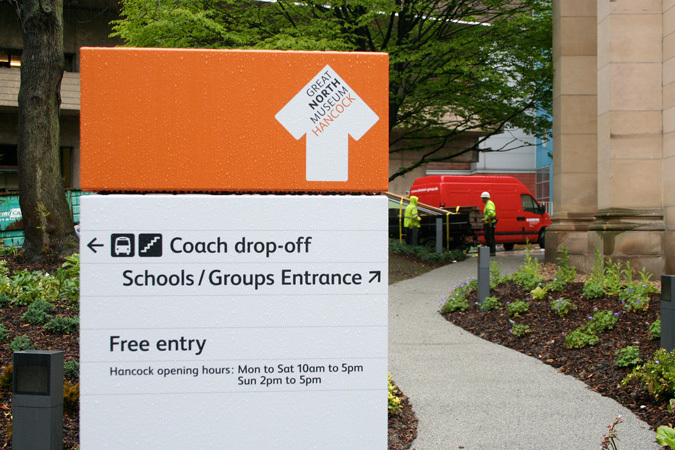 The design of a wayfinding strategy for the Great North Museum, Newcastle. 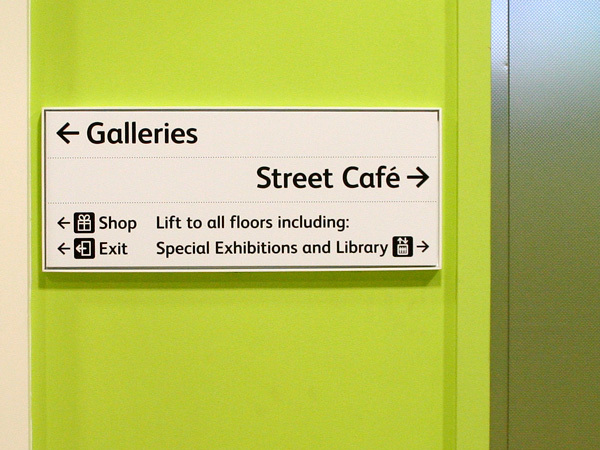 The interior signage remains invisible until you need it. 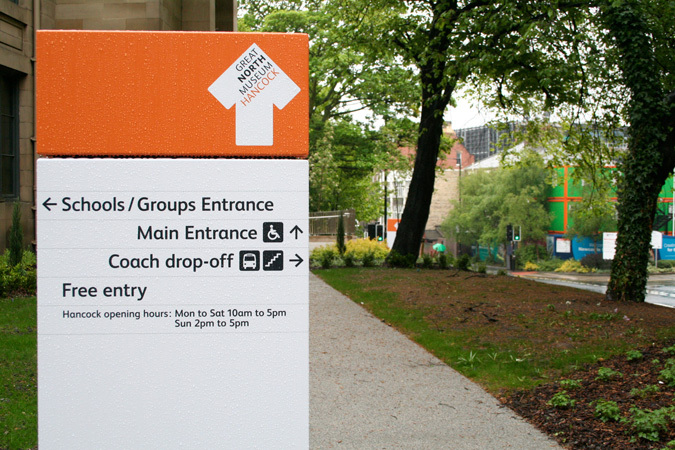 The exterior signage has a dual role: not only to direct visitors to permanent features but also to promote temporary exhibitions and attractions. 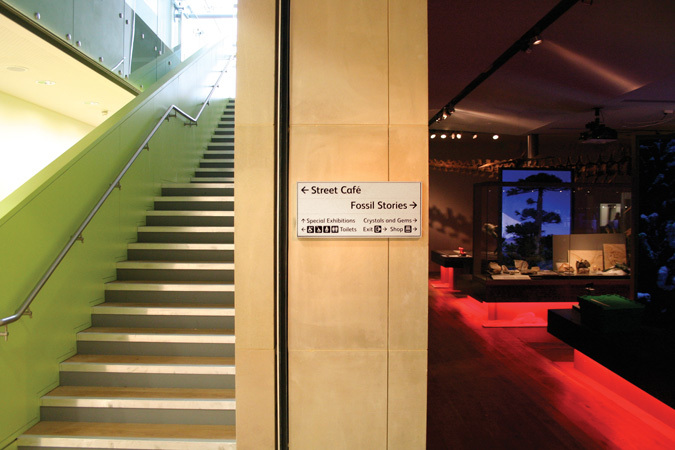 Multiple entrances to each gallery, (a feature of the building redesigned by architects Farrells), meant we disposed of the many gallery titles that would have cluttered exhibit content if titles were to address every entrance. 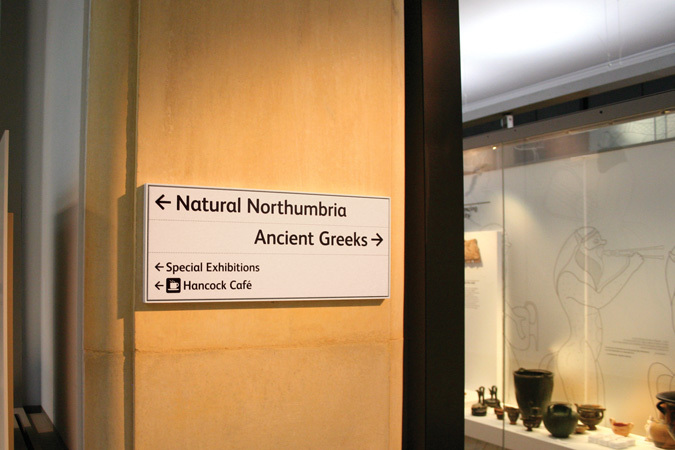 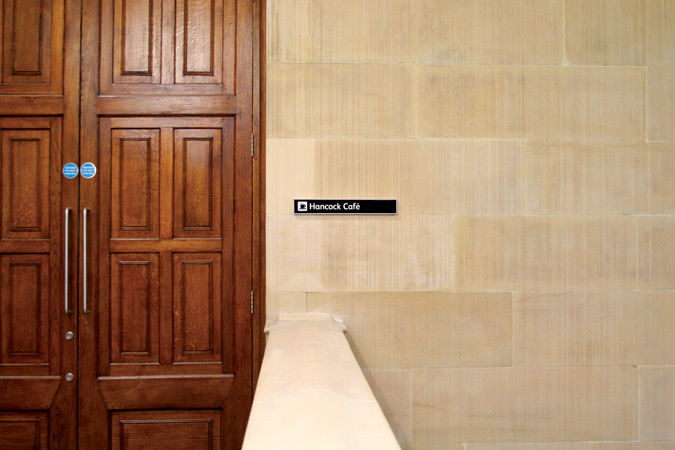 Instead, 80% of all interior signs are discreet directionals separated from interpretative displays by placement in the deep wall-returns of gallery entrance thresholds where all gallery-to-gallery traffic is routed. 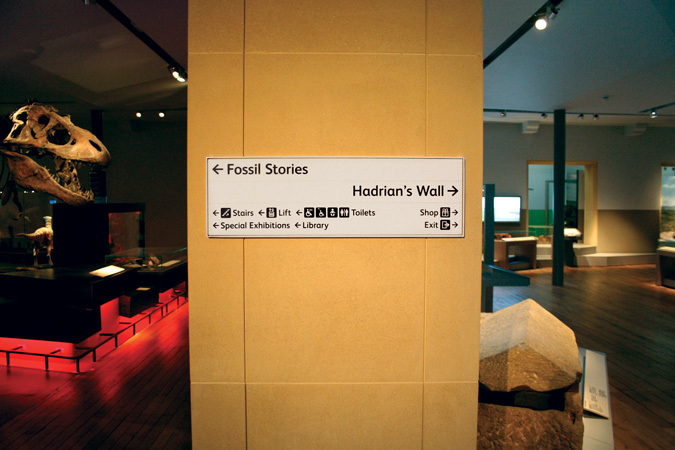 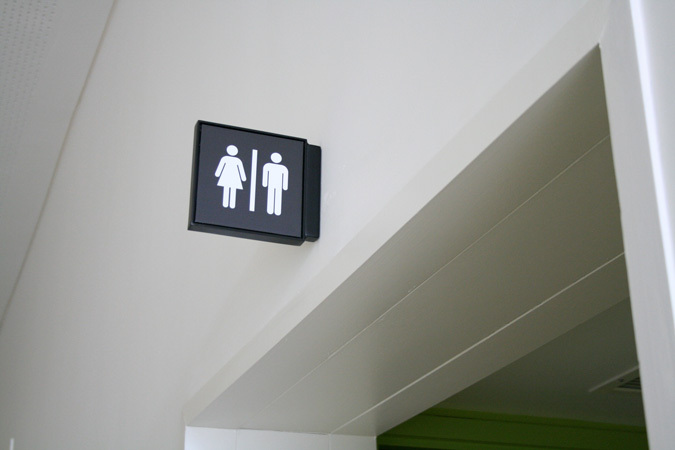 The white section of each exterior sign provides directional information to permanent features while the top fifth of each sign promotes temporary exhibitions and attractions. 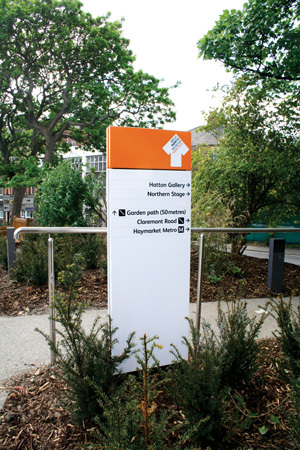 Both sections use adhesive-backed vinyl wrapped onto aluminium panels allowing for easy re-skinning when information changes. 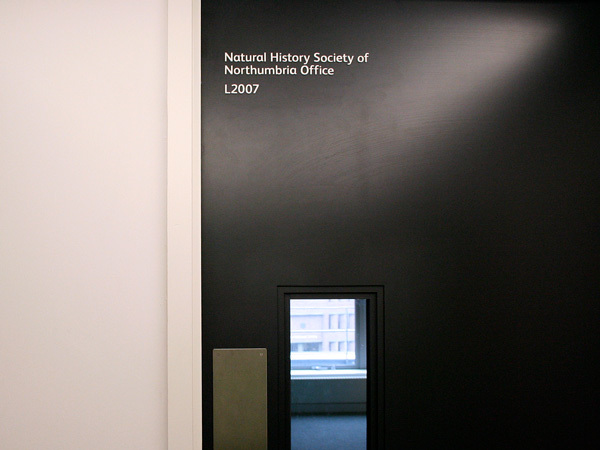 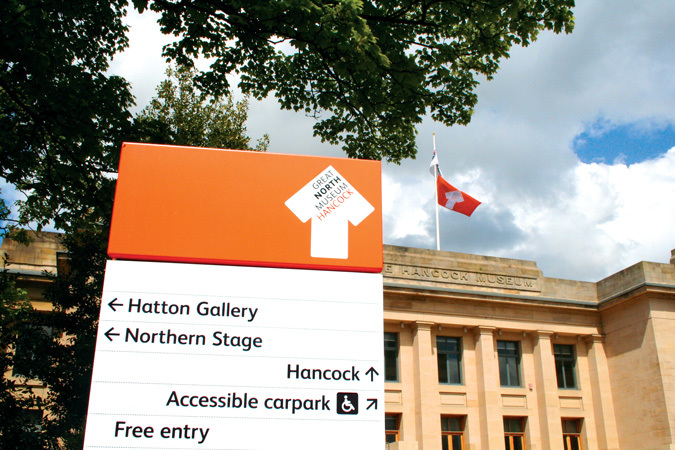 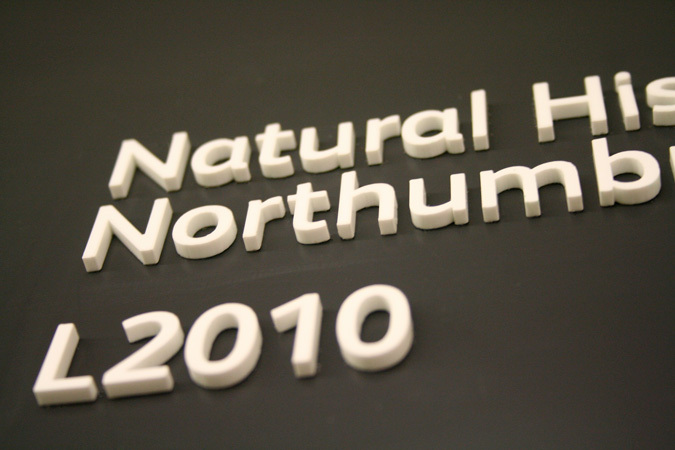 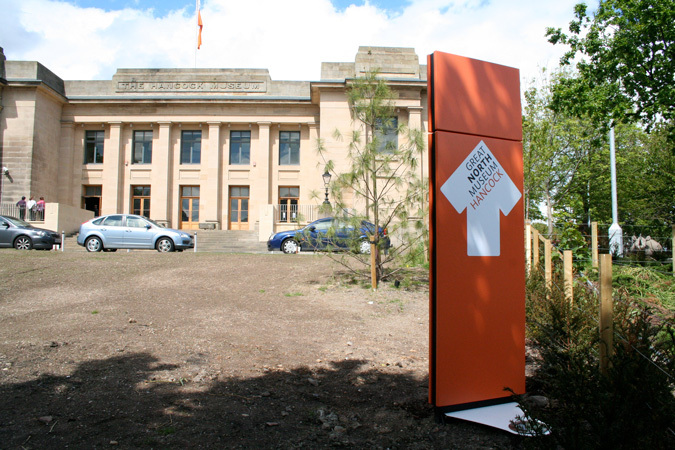 For the re-opening of the Great North Museum, the top fifth was used to establish its new branding. 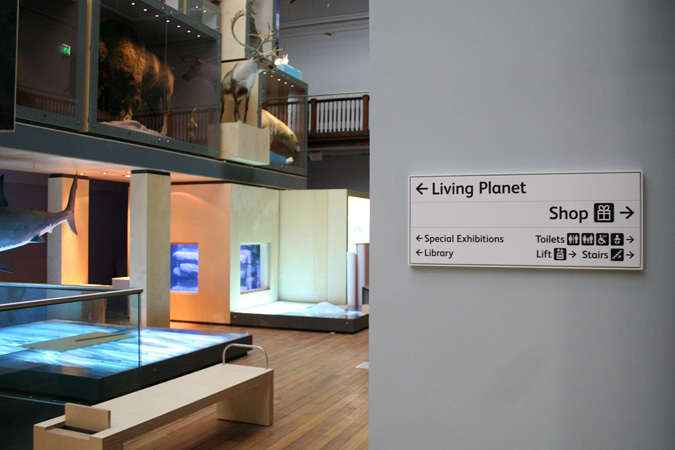 It was planned that beyond the re-opening period the top fifth would then be used to promote the museum's programme of temporary events.